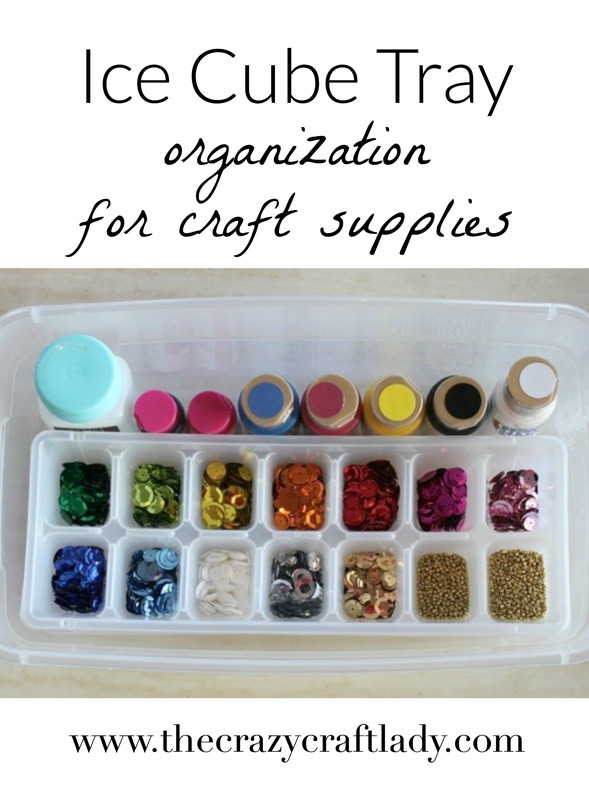 I’ve been doing a little bit of crafting with sequins, but am not ready to commit to a sequin/bead organization box or system. So, in the meantime, I have a $2 solution from K-Mart: ice cube trays. I placed the ice cube tray in a plastic shoe box with a lid. 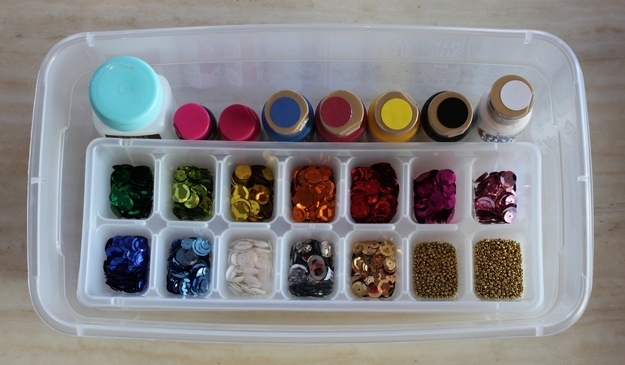 Just don’t drop the plastic box… There is nothing more tedious than sorting through small beads and sequins!